Lost Medical Record Book? Injured? Read on! If you turn up at the races to ride with no Medical Record Book because you have either lost, mislaid or forgotten it, you MUST contact the Medical Adviser’s Office at the BHA IMMEDIATELY you discover that you do not have your MRB. You can only ride if the BHA can be satisfied that you were not injured from your last ride with a phone call from the RMO on duty to the BHA and the return of the Attestation form completed by the RMO at the course. Also a reminder that under Rules you MUST declare ANY injury sustained at the yard, at home, on the gallops, etc. This is a condition of your amateur licence and you will receive a letter from the BHA’s Disciplinary Department if you have omitted to declare an injury. As always, the BHA Medical Department will do all that they can to help you back to racing in a timely manner following an injury, thereby ensuring you are safe to return. If you have any queries on the above, please contact Helen Pavitt, Senior Medical Administrator in the Chief Medical Adviser’s Office at the BHA on 0207 152 0138 or you can e-mail Helen at hpavitt@britishhorseracing.com. Do you have trouble making the weight? 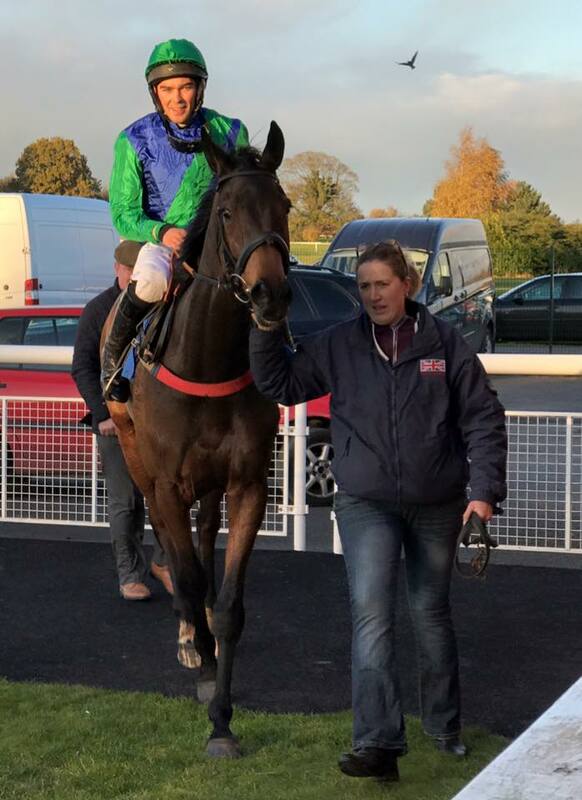 Not only making it back-to-back victories for Godfrey Maundrell with his gutsy mare TAMBURA, having won the same feature race of the day, The Ellan Vannin Mares Handicap Hurdle, at Plumpton last year, but also making it 3 wins from 3 successive rides, congratulations must go to Zac Baker on a great win today! 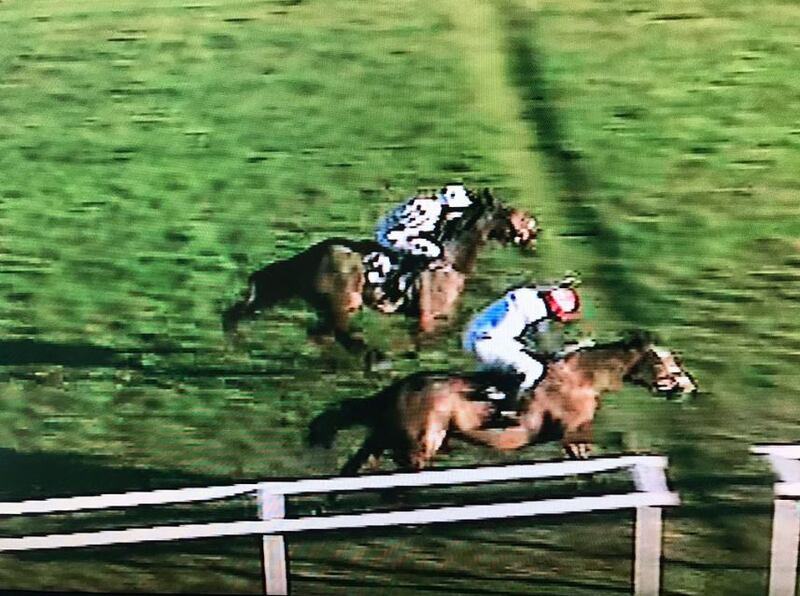 A brave front-running ride on ground far quicker than the mare would like proved to be a winning one, with favourite VERY EXTRAVAGANT falling with a circuit remaining. 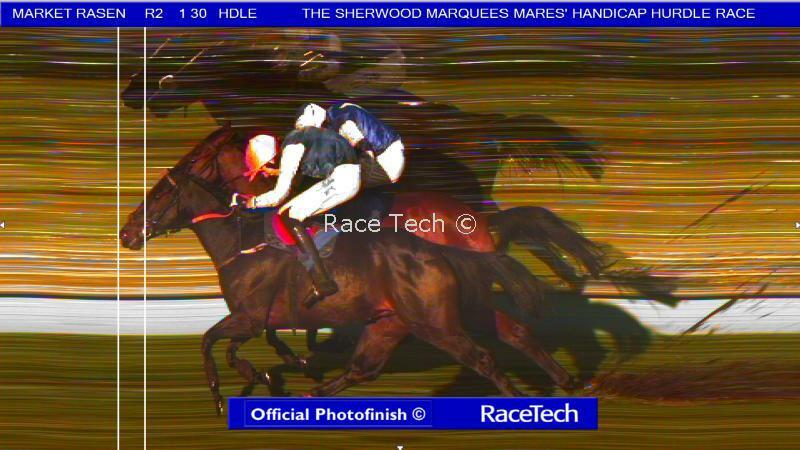 A battle on the flat (with the last hurdle by-passed) ensued to the line between TAMBURA and THEATRE GOER, but the mare was resolute and would not be denied, hanging on to win by a neck! 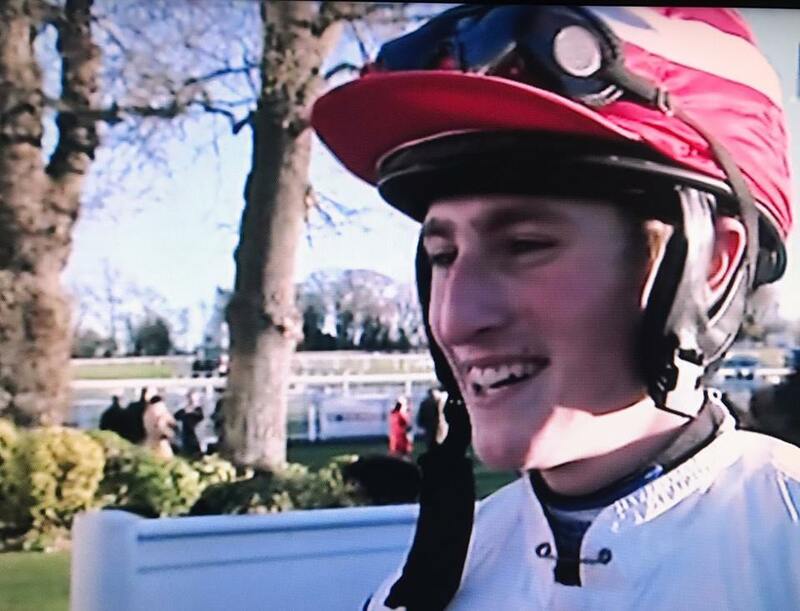 Well done to 22 year old Zac Baker who had a day to remember when riding at Bangor on Saturday with COLIN’S BROTHER comfortably winning the opening Handicap Chase for Nigel Twiston Davies and stablemate I AM COLIN making it Zac’s first double under Rules an hour later in the Ginger McCain Memorial Handicap Chase. Patiently ridden throughout, Zac bided his time and timed his run to perfection, producing I AM COLIN to stay on well after the last and win by a couple of lengths. Many congratulations to Zac and winning connections on a great double! 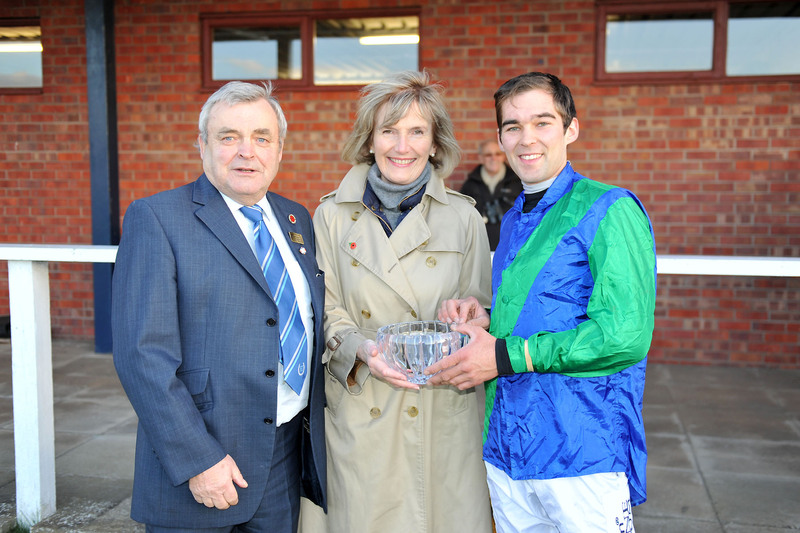 Congratulations Gina Andrews and Pam Sly on a great win at Wetherby today with ACTINPIECES! 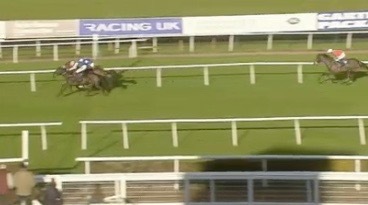 Many congratulations to Gina Andrews and trainer Pam Sly on a great win today at Wetherby with ACTINPIECES. 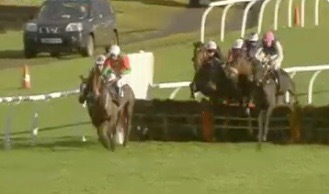 A racehorse whose trainer claims she refuses to be ridden by a man, won a novice chase at Wetherby on Wednesday. 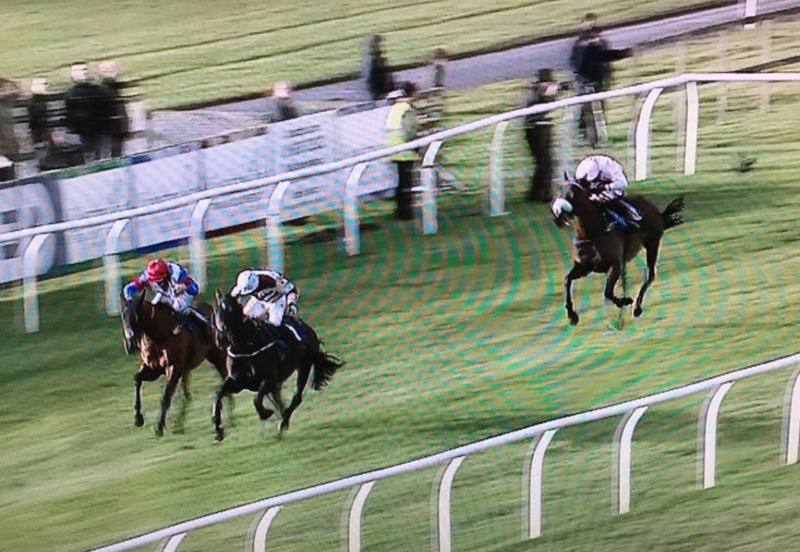 Actinpieces, ridden by her regular jockey, 24-year-old Gina Andrews, was successful in the Racing UK Novice Chase at the Yorkshire track at odds of 3-1. The Peterborough-based trainer Pam Sly, who famously won the 1,000 Guineas in 2006 with Speciosa, told CNN: “[Actinpieces] is not too keen on men. I’ve never had a horse who’s been like this before. The mare, who won three novice hurdles last season before switching to fences, is Andrews’ mount, or her sister Bridget’s when she is unavailable. When their brother Jack, 18, tried to get on board, Sly reports that Actinpieces was having none of it. “She tried to buck him off as soon as he got on,” Sly said. 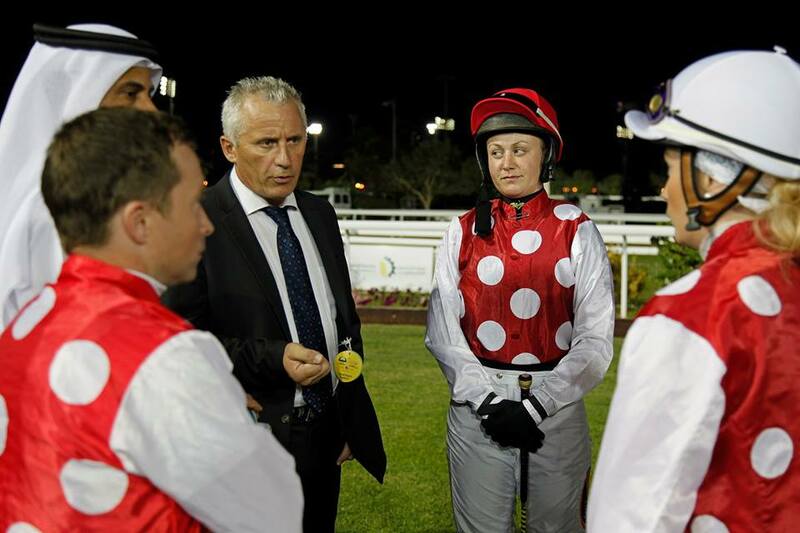 “I ride her at home and do some schooling with her as well as racing,” Andrews added. “I’ve got to know her and it tends to work better. Different riders get on with some horses better than others but it depends on the way you ride and adapt to the horse. 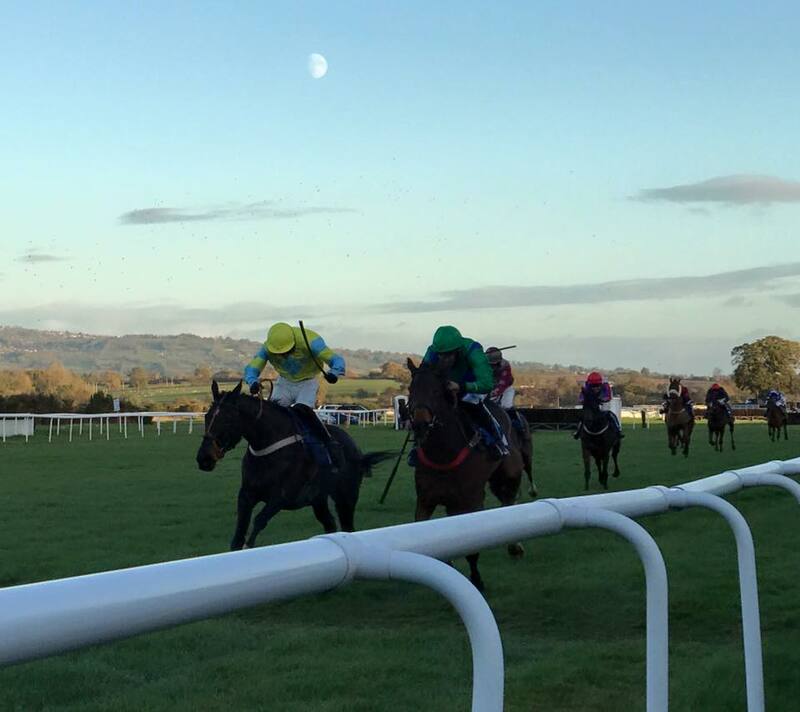 Michael Legg made it a double for amateur jockeys when scoring the other side of the country at Wincanton later yesterday afternoon. 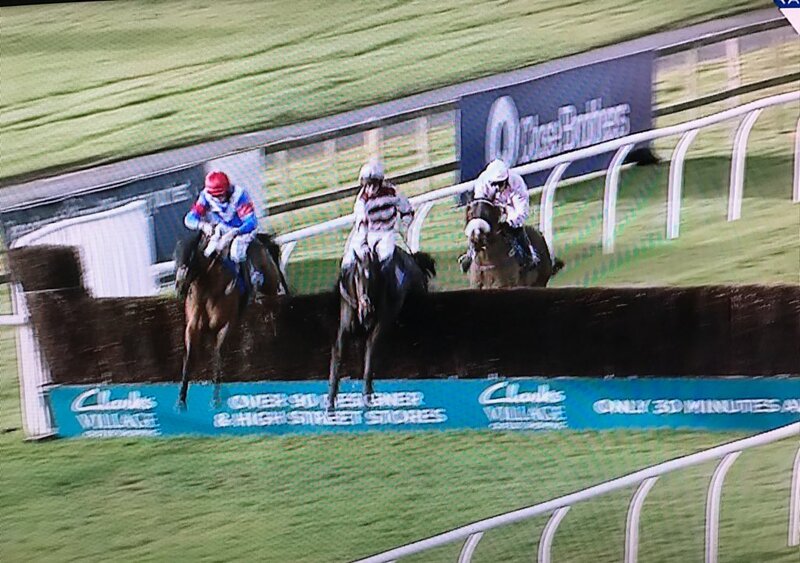 Riding the not altogether straightforward mare TRIGGYWINKLE for Kevin Bishop, Michael was seen at his best giving her a fine ride to win the Be Wiser Insurance Handicap Chase. 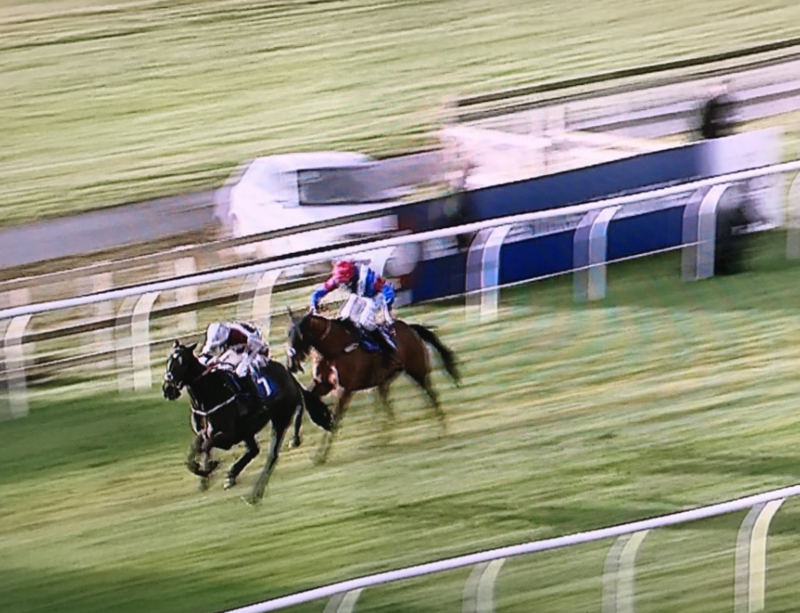 Congratulations to winning connections and well done Michael – great ride! 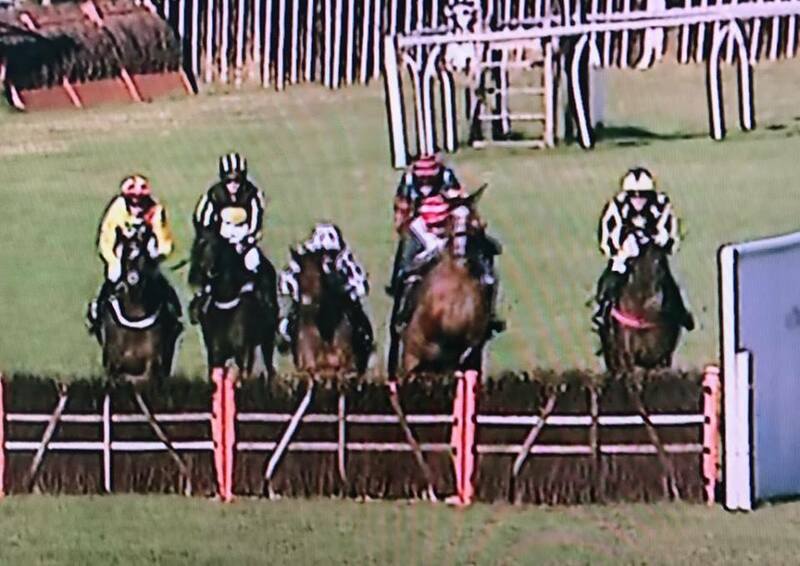 A good day for amateur jockeys was enjoyed today with Jack Andrews enjoying his first winning ride against professionals when riding for Pam Sly at Market Rasen. With a strong head wind, none of the jockeys were keen to make the running and Jack was happy to lob along in the rear aboard BONNETS VINO. As they turned into the home straight for the final time, Jack started to make his move and the mare responded gamely, steadily wearing down the leaders to take it up after the last. However, it looked as if the game was over as TEN TREES and Paul Moloney regained the lead, but BONNETS VINO showed tremendous courage to battle back and just get up on the line to win by a short head. Well done Jack! A memorable week was held in Abu Dhabi for the HH Sheikh Mansoor Festival with lady riders who have ridden in this year’s HH Sheikha Fatima bint Mubarak Ladies Arabian World Series attending the jockey conference: Carol Bartley, Serena Brotherton, Alyson Deniel, Joanna Mason, Alice Mills, Rebecca Smith, Anna Wallace and Catherine Walton. 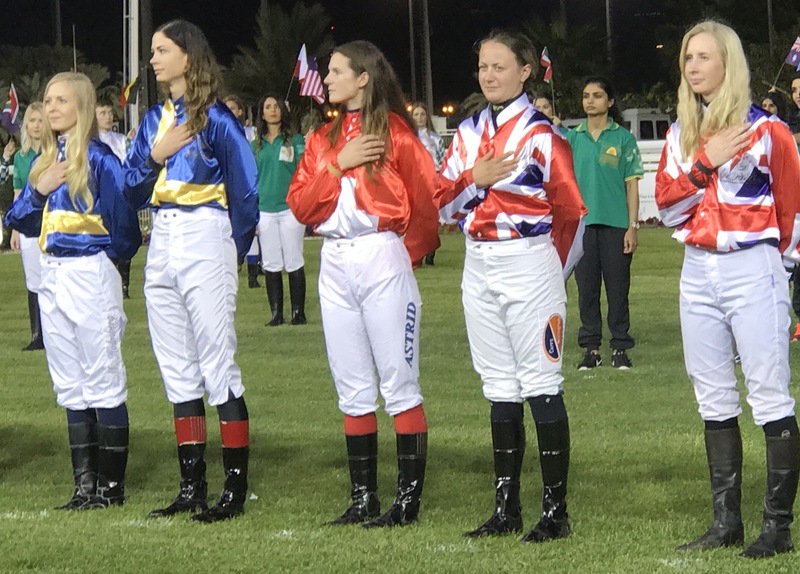 The week culminated in both the Apprentice and Lady Riders finales with GB represented in the ladies race by professional (ex-amateur) Alice Mills and by Catherine Walton, having won their respective races in Bahrain and Belgium earlier in the year. 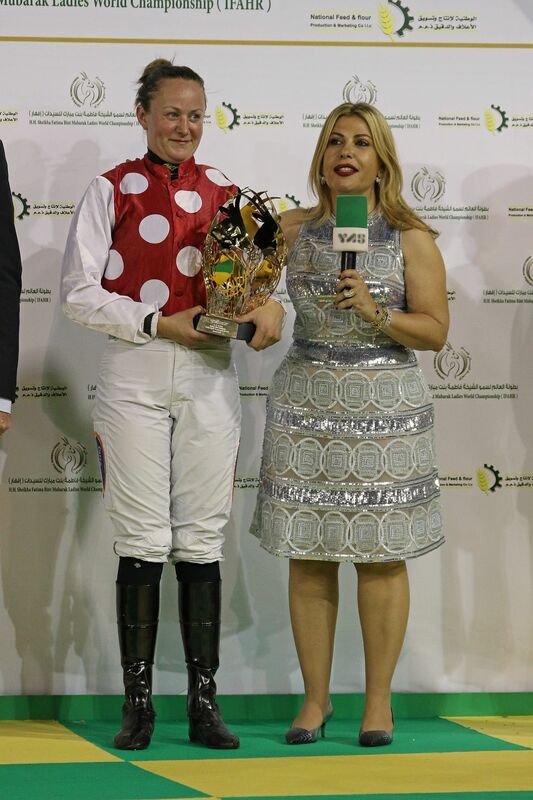 Many thanks to Sheikh Mansoor Bin Zayed Al Nahyan, HH Sheikha Fatima bint Mubarak and the driving force behind the Sheikh Mansoor Festival that is Lara Sawaya for providing such great race riding opportunities for our lady jockeys throughout the year. 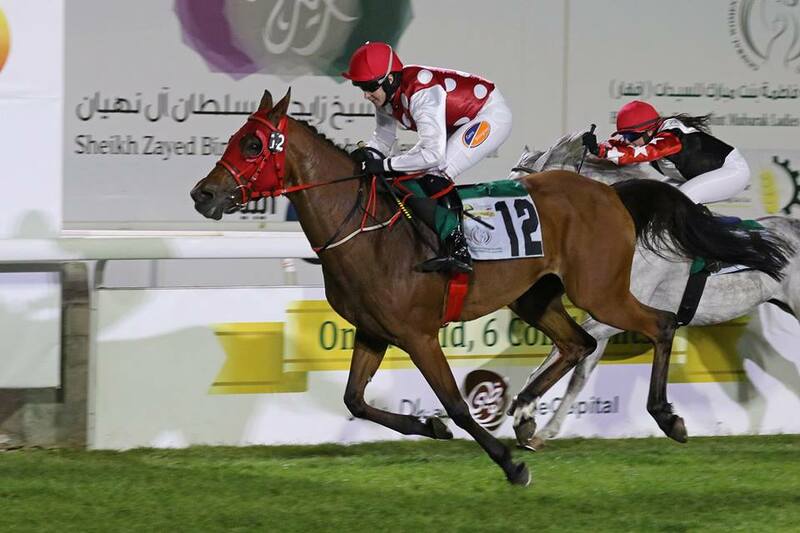 Thanks must also go to Pat Buckley and all at Abu Dhabi Equestrian Club and Emirates Racing Authority for their help and support. 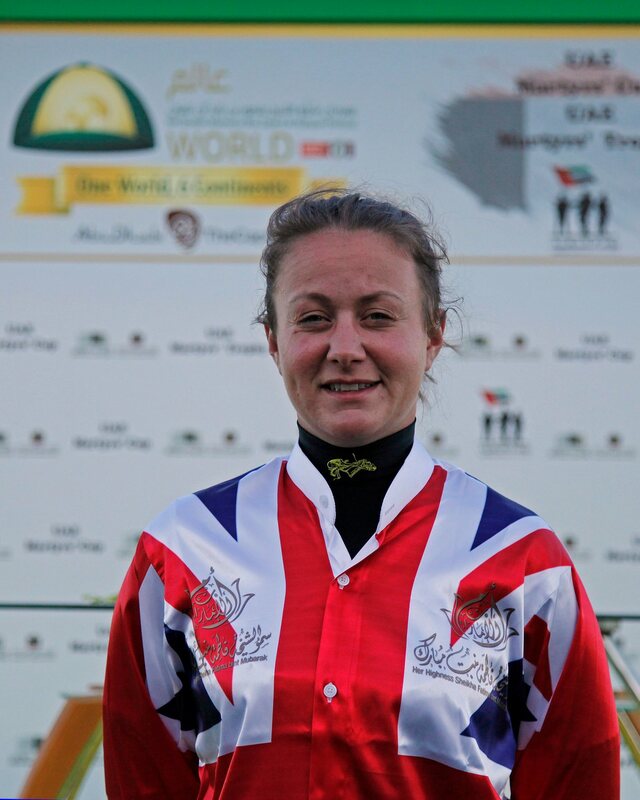 Many congratulations to Catherine who has only ridden Arabian horses for the first time this year – in Belgium and in Abu Dhabi – and won each time! 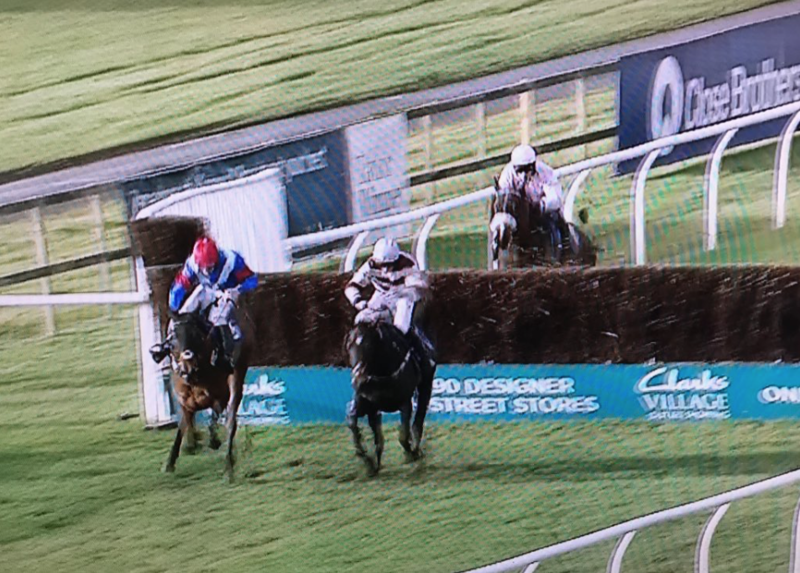 Many congratulations to Alex Edwards on winning the AJA Hurdle at Ludlow today when partnering MIDNIGHT TARGET for John Groucott. 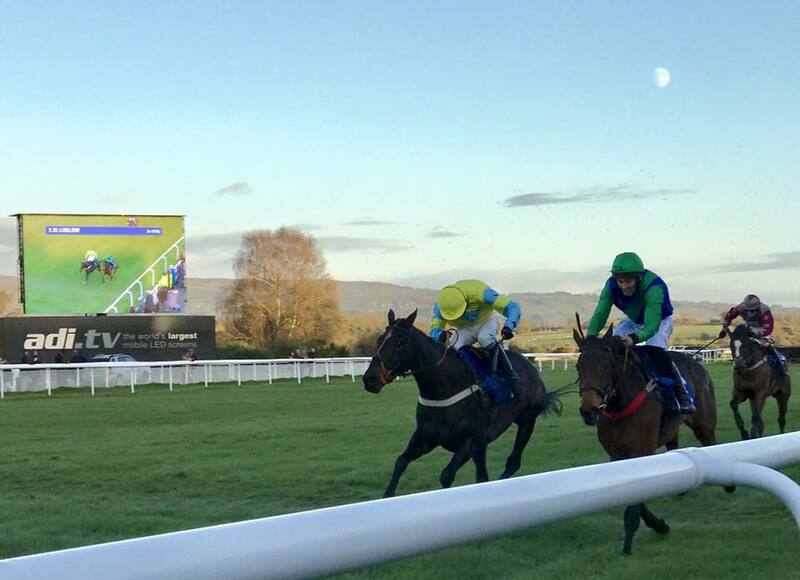 With the NH season now in full flow, this is of course a particularly busy time for the BHA’s Licensing Department not only with amateur jockeys’ licence renewals but also with new licence applications. D 20.3 The renewal application must be received at the Authority’s Office at least 2 weeks before the date on which the permit will be required. Essentially, BHA Licensing would much rather have a quick phone call from an amateur jockey clarifying when their Permit is due to expire rather than 3 jockeys all submitting applications and expecting a 48 hour turnaround! Frequently medical clearances can delay processing Permits, making an immediate turnaround impossible. All applicants are emailed 6 weeks prior to their Permit expiring with all the renewal information required to renew their Permits. Please can all jockeys respect this and thank you to those of you who already do so.